Anachronaeon was formed in a town in Sweden called Västerås under the name Human Failure and recorded one self titled demo in 2002. 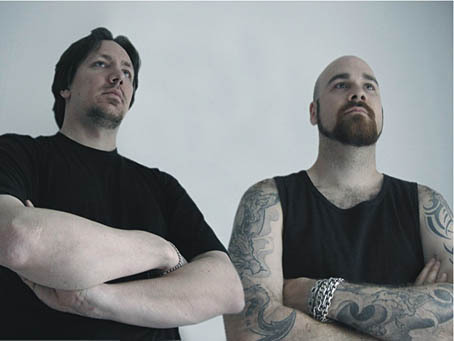 Back then the band consisted of the same members that is in left in the band now – Patrik Carlsson and Andreas Åkerlind. Anachronaeon managed to play live once (!) as opening act for Katatonia. After the show the guitarrist Mac quit the band for some obscure jazz-project. The band then fired the live-session bass player and decided to keep going as a studio-band. another big step forward, both in songwriting and production. With this album Anachronaeon mix a raw energetic black metal-nerve with epic melodies and a heavy metal platform to continue developing their own sound, exceeding their previous productions. The album has a red thread without being conceptual, about mankind through a misanthropic perspective.